The witness list for Day 11 was even shorter than Day 10. Only two people on the stand: FBI Agent Kevin Swindon, who was back to finish his testimony from the previous court day, and Dr. Matthew Levitt, the prosecution’s terrorism expert (the defense vigorously objected to this witness). The prosecution argued in the morning that they wanted Dr. Levitt to take the stand first because he needed to catch a plane to Europe later in the day. For whatever reasons, the witnesses appeared in order and Swindon went first while Levitt went second, causing him to miss his flight. Dias: U saw the news? Dias: u saw urself in there? Dias: what’s wrong with u? Before getting into Fick’s cross of Swindon, I want to point out that this was one of, if not the most, heated exchanges during the entire trial. Whether or not it helped Jahar’s case, it was the first time we actually saw the defense put a little oomph into their cross-examination. They started off by driving home that Swindon, or whomever, cherry-picked files from Jahar’s computer and used them court. Fick: The files you showed us from Jahar’s Sony VAIO – you said it was representative of the whole computer. Is it? Fick: But there’s nothing representative at all in Exhibit 742. It was selected by the FBI. Swindon: There were hundreds of thousands of files on the Sony. Fick: Was there a lot of homework on the computer? Flick: (shows the school assignment on drones that Jahar completed) You’re aware there were other homework assignments, but you just picked this one. Flick: (pulls up audio files such as Nasheeds and Islamic chants on Jahar’s computer) There were a couple dozen you talked about? Flick: You showed us some of Jahar’s music, but not all of it, just a small number, right? Swindon: Well, I don’t know how many files. Flick: There were hundreds of songs you didn’t show us, right? Swindon: I can’t say for sure. Flick: Are you willing to even estimate that we’re talking about several hundred? Swindon: Not without being able to review the files. Get used to Swindon’s answers. Or rather, non-answers. And, let’s be honest here. It’s the prosecution’s case. Of course they’re going to cherry-pick. They’re not going to show the jury the whole picture which is precisely that the Islamic files they used as evidence against Jahar during trial were like a few grains of sand on an entire beach. As Fick put it, it was only “151 sub files out of half a million,” or “three ten-thousandths of one percent,” or a “fly speck” of the entirety of files found on the computer. And yes, Fick actually used the word “fly speck.” Swindon’s response? “I don’t know your definition of a fly speck.” Of course you don’t, Swindon. Fick: You are a supervisory special agent? Fick: And a computer analyst? Swindon: I’m not sure what that means. Come on. Do you know who normally acts like this? Cheaters, sore losers and two-year olds. What was the media’s response early on into the defense’s cross? From @producerjesse: “This has to be the first time the…defense has been this aggressive with a cross-examination.” Seriously? Asking this dude if he’s a computer analyst is aggressive? Swindon’s response is just a douche move and everyone knows it. Moving on, the defense went through more of Swindon’s credentials including the fact he was the CART supervisor in Boston and was in a position to oversee most of the analysis done on the digital evidence in the case; he was aware of what the people under his supervision were doing. Or so he said. Under oath. Swindon was also aware of a 53-page analytical report created by the FBI about the evidence found on Jahar’s laptop. The report stated that the investigation into the laptop “remains ongoing.” Ongoing? Huh. I thought they got their man? Dzhokhar Tsarnaev, right? Hmm. So when was this report created? Unfortunately, I have no idea. That’s right. Because the report was undated. Makes sense. I mean, why would the FBI bother to date a report about the digital evidence found on the computer of a terrorist who struck on US soil? Unless, of course, you’re out to screw someone over. Just pointing out the obvious here, folks. Swindon: I cannot comment on that. Admittedly here, folks, I’m confused about which is what. On Day 10, we heard testimony that authorities recovered Katherine Russell Tsarnaeva’s pay stub from the thumb drive found in either Jahar’s dorm room or from the New Bedford apartment, depending on which reporter you followed (isn’t that great?). Today’s testimony said that Katherine’s rental agreement was on the Kingston thumb drive (same as yesterday’s testimony) but that one of Katherine’s pay stubs was also found on it. Maybe there were pay stubs found on both thumb drives? Again, no idea. Fick: Other important devices are not on the list. Were any devices seized from Tamerlan’s wife? Swindon: I didn’t memorize every device. Fick: That wasn’t my question. Were two computers seized from Tamerlan’s wife? Swindon: I don’t recall. I’d have to see a list. Fick: And cellphones belonging to one of the two suspects is important, right? Fick: But Tamerlan’s two cell phones seized from the Watertown scene are not on your lists? Swindon: I was not asked to analyze them. Fick: Is it useful to know a computer’s origins? Fick: Is the Windows installation important? Swindon: You can install Windows multiple times. Fick: So you can’t even say if that’s important? Swindon: Yes, but there’s nothing to say it wasn’t. Fick: So you don’t know? Was it installed on the HP desktop computer in Tamerlan’s Cambridge apartment on September 23, 2011? Fick: So you aren’t aware if Windows was ever there earlier? Swindon: Yes, but I haven’t done the analysis. Fick: Don’t you think it would be helpful to know? Fick: Windows was installed on the HP (computer in Norfolk home) in September, 2011, it was installed on the VAIO (Jahar’s laptop) in February, 2011, but you can’t say when on the Samsung (Tamerlan’s laptop from Laurel Street)? Fick: Wasn’t Windows installed on the VAIO when Jahar was still in high school? Fick: Regarding device attachments, were you aware that Tamerlan’s HTC phone (Tamerlan’s cellphone from Laurel Street) was connected to the Sony (Jahar’s laptop) at least twice? Swindon: I wasn’t asked to check. Fick: Anybody from the FBI ever get that information out? Was a written report prepared? Fick: Are you aware that the Sony VAIO (Jahar’s laptop) was used by multiple Skype accounts (reference was to Bella Tsarnaeva’s account found on Jahar’s laptop)? Swindon: I do know Skype was used by the defendant. Swindon: I don’t know. I would need to see the report. Fick: You know Bella is the name of one of Jahar’s sisters? Fick: Do you know Dias is a friend of Jahar’s? Fick: You know who Jahar went to school with but you don’t know his sister’s name? Fick: You know Katherine was Tamerlan’s wife, but you don’t know that Bella was Jahar’s sister? It never came up? Fick: Did you know the majority of the internet history on his laptop was Facebook and VK.com? Swindon: I can’t assess that. I can’t verify the percentage. Fick: It wasn’t of interest to you where most of this was from? You never talked about the nature of the Sony’s internet activity? Fick: Are you aware that the FBI did a separate analysis of the search history on the Sony? Swindon: Can you refer to a page? Fick: Page 46, Collection of Search Terms. Fick: Isn’t it true that the top 16 search terms on Jahar’s computer do not include Islam or Jihad? Swindon: I’m not a psychologist. Fick: What is the column “Filesystem Record Date in Local Time” on your spreadsheets? Swindon: We went over multiple spread sheets. Fick: So if you don’t know what it is, the time a file is created doesn’t say anything about whether it was opened or not? Fick: Was there any standard procedure to analyze creation times? Fick: So different software can produce different creation dates for a file? Fick: And you don’t know which one is correct? Fick: How can we interpret any one of these files? Swindon: I can’t sitting here. It would need further analysis. Fick: Are you aware that Tamerlan traveled to Russia? Fick: Are you aware that his computer was connected to the internet in Russia from January to June, 2012? Fick: You did a cursory review of Tamerlan’s computer? Fick: You supervised the people who analyzed Tamerlan’s computer? Fick: Were specific findings brought to you? Fick: Specific findings were never brought to your attention?? Fick: Tamerlan’s computer had encryption software on it? Fick: You’re not aware that his password was allahukbar1? Fick: Was TruCypt encryption software on Jahar’s Sony VAIO? Fick: Did you ever see the desktop of Tamerlan’s Samsung? Fick: You never saw his desktop??? What else didn’t you look at? Judge: I’ll take it as relevance. At some point, this thumb drive had been plugged into Jahar’s laptop and information was transferred from the drive to the laptop. Fick: Was the thumb drive ever recovered? Fick: Was there a report produced? Fick: Who had access to the desk top computer they seized from the apartment in Cambridge? Swindon: I can’t specifically tell you who had access to that computer. Fick: On January 1, 2013, there was a login for Jahar’s Yahoo email account. Was that the one and only time it was accessed? Swindon: I don’t know that to be true. Fick: Could you make that determination? Swindon: Not from this data. Fick: Were you asked to make that determination? Testimony determined that there was a Russian textbook about explosives, tanks, and bombs found on the hard drive, among other things. This is the hard drive that was found in the computer bag on Laurel Street. I believe authorites considered it Tamerlan’s hard drive. Fick: Lengthy texts about explosives? Fick: None of these files exist on Jahar’s Sony VAIO? Swindon: I’d have to go back and look. Swindon: I don’t have that information to make that determination. Fick: The Watertown hard drive shows more Russian-language docs, instructions about building bombs [than Jahar’s laptop], right? Fick: This hard drive was formatted by Tamerlan’s computer? Swindon: I don’t have the information to determine that. Fick: You don’t know if that’s true? Swindon: No. I don’t know. Fick: Did anybody else at the FBI check the format? (Fisk has to ask four times): “Did you ever become aware whether Tamerlan’s computer was the one that formatted this hard drive? Remember earlier how Swindon couldn’t remember what the column “File System Record Date” meant on his own spreadsheets? Well, the prosecution was nice enough to bring him a handwritten note to him during re-direct which, again, @MustangGTCSgirl was nice enough to point out that it was probably a “cheat sheet to remind him that he might actually know something.” She had the best tweets of the day. Seriously. So what happened during re-direct? Not much. The prosecution established that the desktop computer in the Norfolk apartment was not used by Tamerlan while he was in Russia. I’m not sure how hard that was to figure out but whatever. The prosecution also pointed out that someone had watched “Teen Wolf,” CNN, the Walking Dead and Netflix on the computer while Tamerlan was away. It doesn’t seem that the prosecution brought up the fact someone searched, read or opened any Islamic websites or files while Tamerlan was in Russia so I didn’t understand the point. Perhaps I missed it. But even if there had been Islamic files or websites searched or opened, as we’ll see in later testimony, it doesn’t prove that Jahar was the one looking at that stuff on the desktop. It could have readily been Tamerlan’s wife, Katherine. Fick: Are there other devices in the Norfolk apartment? Blah, blah, blah, more stuff on Windows and other files’ creation dates. Fick: You still can’t tell me what this information means? Fick: Mr. Chakravarty showed you something on a handwritten note, who wrote it? Swindon: I don’t recognize the handwriting. And with that…Swindon escaped off the stand. 1. 617-286-9151: The T-Mobile phone used at the Boston marathon. Also the phone used to call Viskhan Vakhabov before the April 18, 2013 carjacking and to call Tamerlan Tsarnaev after the carjacking. The account was created the day before the marathon bombings. It was found smashed behind a shed on Franklin St. in Watertown. 2. 857-247-5112: This phone number was seen on Jahar’s resume. The phone was also used to text Kadyrbayev on April 18th, 2013. It was found smashed behind a shed on Franklin St. with the 617-286-9151 phone. 3. Jahar had a phone that was turned off for lack of payment sometime around time of the bombings. One reporter said it was disconnected on April 17, 2013. 4. A Samsung cellphone was found in Jahar’s dorm room. This phone may or may not have been the phone that was disconnected around the time of the bombings. 5. An iPhone 3. This phone may or may not have been the phone that was disconnected around the time of the bombings. 1. 857-928-4634: T-Mobile. Phone used at the Boston marathon. Account created on 7/18/2012. May have been found on Laurel Street. 2. An AT&T/HTC cell phone found on Laurel Street. Paid by the prosecution to write a report for the case, Levitt is a Fellow at Washington Institute and Director of their Stein Program on Counter terrorism and Intelligence. Previously he worked at the Treasury Department and the FBI in their International Terrorism Analysis Unit. 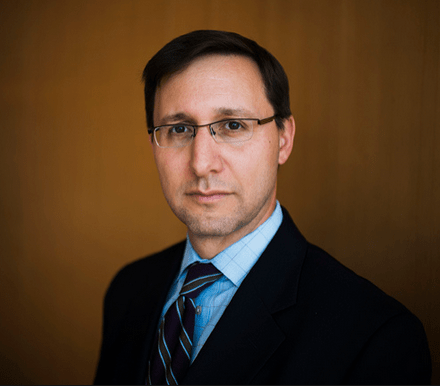 He received his PhD from Fletcher School at Tufts and he’s written books on Hamas, Hezbollah, and a variety of “monographs, peer-reviewed journals,” etc. He also serves on the Board of Advisers of the Center on Sanctions and Illicit Finance at the Foundation for Defense of Democracies. And, in case it matters to you, Levitt was scheduled for a flight to Berlin that evening and was nursing a cold. No one cares who detonated the bombs on Boylston Steet but, thank God, we are all well-informed by journalists that Dr. Levitt may have taken some NyQuil before he testified. Bottom line? The prosecution hired him to analyze the evidence in the case and to put the crime into a larger historical and criminal context. The first order of business for the prosecution was to ask Levitt to explain the concept of global jihad. His response? “A continuum, going back through several decades; a need for a global effort by Muslims to unite as a nation and to defend themselves through acts of violence.” Jihad can be performed by groups of Muslims or lone wolves, aka “homegrown terrorists.” And how can these groups or people be part of jihad? Nowadays, responded Levitt, “you can get your schooling online.” He emphasized that there was no oath of allegiance to join in on militant jihad because it is simply an ideology that brings Muslims together, not nationality, ethnicity or pledges. The reward? Heaven and the forgiveness of sins. But what’s entailed exactly? Levitt stated that the ideology has changed over time and that the killing of innocent people is not only considered praiseworthy, but is now a religious obligation. Levitt admitted that this is a new twisting of Islamic concepts. Two types of jihad exist: greater jihad and lesser jihad. Greater jihad is about self-improvement and becoming a better person while lesser jihad is militant and about violence. Unfortunately, some believe that the lesser jihad is actually more important than greater jihad and that’s exactly what radical leaders push. They claim this lesser, violent jihad is now a personal obligation. And although lone wolves can’t pull off larger attacks, social media has been directly responsible for their rise in smaller but frequent, violent jihad. Bottom line? Social media has contributed to the larger, growing threat of homegrown terror. So how does the US play into this? Levitt responded, “The U.S. has been on the receiving end of violent jihad for many years now.” Right. As if the U.S. has been in innocent in the world’s woes, right? So what’s a lone wolf to do? Well, first, long gone are the days that required them to travel to training camps. Now they can become radicalized in the comfort of their own homes; “Do It At Home” seems to be the motto seen in radical propaganda. As Levitt likes to call it, it’s “terrorism on the go” and it’s as easy as asking for extra ketchup at the Mickey D’s pick-up window. If you’re lucky, groups like Al-Qaeda will praise your success after you’ve either blown yourself or others up. It’s that simple. Take Boston for instance. The Tsarnaevs’ bombings have created an entirely new wave of Islamic insurgency overseas. Al-Qaeda’s top operators and folks like Russian puppet Chechen leader, Ramzan Kadyrov, applauded their actions. No, I’m kidding. None of that happened. In fact, no group took responsible for what the Tsarnaevs supposedly did and Kadyrov came out publicly to denounce their acts. Kinda strange? No. Very strange. But that didn’t stop the prosecution and Levitt from going on and on and on about ISIS and Al-Qaeda, while the defense…did nothing. So who are these lone terrorists? 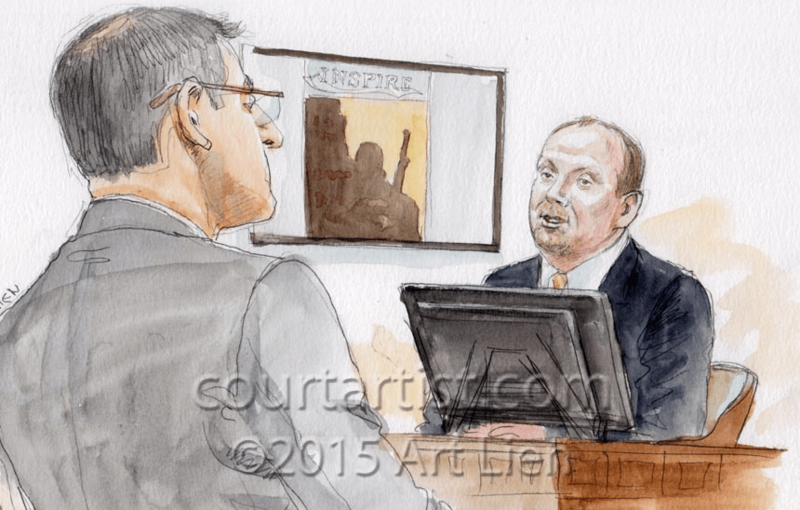 Levitt testified there is not a single profile that can identify someone who is radicalizing. Groups tend to target Muslim youth but that’s about all he’s got. He used this analogy to describe homegrown terrorists: “It’s like a salad bar. If you and I go to the salad bar, we’re going to get a different kind of salad. Same for HVEs [homegrown extremists].” Huh? Okay, first off, let me simplify this for the younger kids at home: If you enjoy playing Naughty Bear or Call of Duty, sometimes for twelve, fourteen or twenty-four hours straight, keep playing. Video games in no way affect kids and influence sociopathic tendencies. On the other hand, if you listen to nasheeds, watch radical Islamic videos and have some sort of void in your life, you may very well be on your way to becoming an Islamic extremist. Secondly, I realize this witness is for the prosecution but isn’t this testimony the very basis of the defense’s argument?? Tamerlan was the radicalizer. Tamerlan was the one who held Jahar’s hand and pulled him across that dividing line. He downloaded videos, chants and nasheeds on Jahar’s electronic devices to push him in farther. Was the jury sleeping through this testimony? That’s right. Some of them literally were. Levitt was also asked how long it would take for someone to become radicalized and he testified that radicalization is occurring much faster than it used to due to the internet. But, then again, he also testified that some people need to be exposed to radical material for a long period of time, others…not so much. Is there a way to predicts who will become a terrorist? Nope. And what kind of websites do soon-to-be and already-made-it terroristas visit? Levitt mentioned a few including the Kavkaz Center which is affiliated with the Chechen movement. Hmm…really? In 2014, here’s what rt.com had to say about the Kavkaz Center: “When analyzing jihadi terrorism in Russia the name Doku Umarov and his Imarat Kavkaz organization, will undoubtedly appear….His propaganda outfit, known as Kavkaz Center, has an extensive history of supporting and legitimizing terrorist actions.” Indeed, Kavkaz Center was launched in March, 1999 in Grozny, Chechnya and has always supported the independence of the Chechen Republic of Ichkeria (later known as the Caucasian Emirate). Do you know who fought two wars against Russia? That’s right. The Chechen Republic of Ichkeria. Originally headed by Dzhokhar Dudayev, by 1997, Aslan Maskhadov was elected president of the Chechen Republic. And guess who fought under Maskhadov’s government? That’s right. Doku Umarov. Not only that, one of Maskhadov’s right hand men was Ilyas Akhmadov. Not familiar? He’s the guy that Homeland Security tried to prevent from getting political asylum here in the United States (because just maybe he was terrorist), but the CIA won that decision. For more, start HERE and make your way through the Misha and the Political Machine posts. It’s way too much to cover here. Bottom line? The Kavkaz Center may be a terrorist outfit, but the U.S. has more than supported it in the past, whether overtly or covertly. Alright, back to the testimony. Levitt testified that radical, Islamic publications such as Inspire, seen on the Tsarnaevs’ electronic devices, are easily accessible and understandable to Muslim youth. It’s the ideal publication: It’s glossy and attractive, it’s carries current events, it encourages jihad and, more importantly, it gives readers the instructions to carry it out. As Levitt put it, [the magazine] is “not unlike directions that my kids use when putting together Legos.” Really? If this stuff is so easy and powerful, like inner-city crack cocaine, why doesn’t the U.S. just put together some chants and “Lego” instructions on how to become a non-jihadist Muslim? Just saying. So who created this lustrous and all-powerful magazine? Anwar al-Awlaki, that’s who. Killed by US forces in Yemen, Awlaki’s message carries on in nasheeds, lecture series and speeches. Unfortunately for the defense, even Jahar paraphrased a line from him on Twitter, “They will spend their money, they will regret it and they will be defeated.” Levitt also pointed out the article “Join the Caravan,” found on the Tsarnaevs’ devices, as another “major draw for terrorism” because it argues jihad is obligatory. If you want to read it, archive.org has a translated version → HERE. I’m kidding. Don’t read it. You’ll turn into a terrorist. I mean, at one point Levitt discussed one case where a man claimed he radicalized because he was dumped by his girlfriend. It‘s just that easy, folks. Hide your children. Ugh, I have a hundred more tweets to plow through and we’re just now getting to Levitt’s testimony on the rise of jihadism and the Chechen conflict. So what happened after the fall of the USSR? Chechnya fought for their independence and, according to Levitt, the jihadists “co-opted” the war for their own cause just as Levitt says they’re doing with the war in Syria today. As he put it, “Some are drawn to defend those attacked by the Assad regime.” Well, when he puts it that way, it doesn’t sound so bad, does it? And then Levitt went into a whole thing about Syria and ISIS which the defense actually tried to stop this time but the judge overruled them. And that pretty much covers the extent of what Levitt discussed in terms of Islamic radicalism within the context of Chechen history. 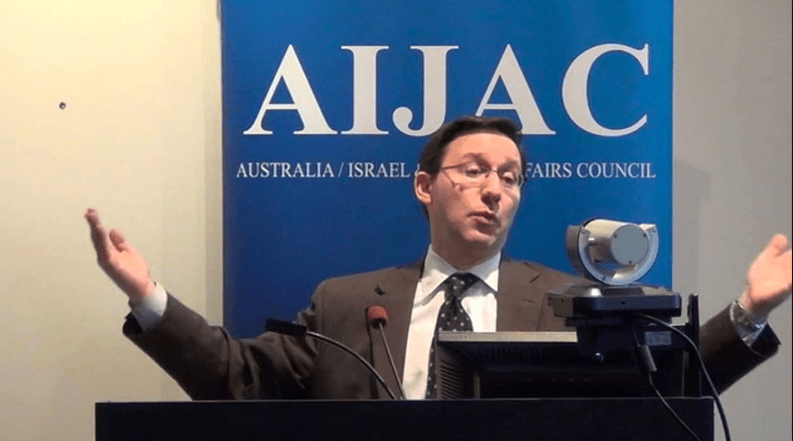 I guess it’s silly to think an expert like Levitt would really discuss in any sort of detail the history of jihad in Chechnya when the defendant is a terrorist. And Chechen. But really, in the context of U.S. foreign involvement, are we really surprised the government didn’t want to touch that? Exactly. Levitt at least admitted that overseas attacks that kill innocent people contribute to radicalization. Brilliant observation. I kinda figured that out from the boat note, but I digress. Lastly, apparently this is what Inspire magazine advocates: “It’s not enough to protest. The way to defend Mohammed is thru violence.” And America enthusiastically agrees! I mean, come on. When’s the last time you saw U.S. troops dropping their weapons and taking up picket signs overseas against bad governments and evil rulers? After reading through more and more of Levitt’s testimony, I can’t help but wonder if perhaps I should have followed in the footsteps of Anne Stevenson (@Stevenson_Live) who tweeted, “After watching both days of FBI Kimball’s testimony, I hesitate to post Levitt’s testimony w/o context from Tsarnaev defense. Will update ltr.” And she has a point. Levitt’s testimony screamed, “Muslims! They are all out to kill us. Grab your babies, just talking to one will turn them into terrorists.” Seriously. His testimony came across as some hyper-inflated anti-Muslim propaganda set up to sell the jury. Which, if they had such a strong case against Jahar, they kinda wouldn’t have to do it, now would they? Hours of this testimony and the prosecution still couldn’t prove it was relevant. They didn’t prove Jahar downloaded any Islamic materials, they didn’t prove he listened to it, they didn’t prove he was on a jihadist mission that day, and heck, they can’t even prove who detonated the bombs on Boylston Street. Isn’t that what’s really important in this case? Not the fact Syria is a hotbed for terrorism. Interested in the rest of the direct of Levitt? Here it is: He went over numerous files found on Jahar’s electronic devices and his description of all of them was basically: jihad is spiritually fulfilling; the clock is ticking so you should kill, kill, kill; maybe you should become a martyr and go to heaven. As to the note Jahar allegedly scribbled all over Henneberry’s boat, here’s Levitt’s take on it: Jahar’s intended audience for that note was the American public, the themes in the writing are common themes in global jihad, and it was an attempt to explain what he did. I suppose he means a confession of sorts. Again, brilliant. 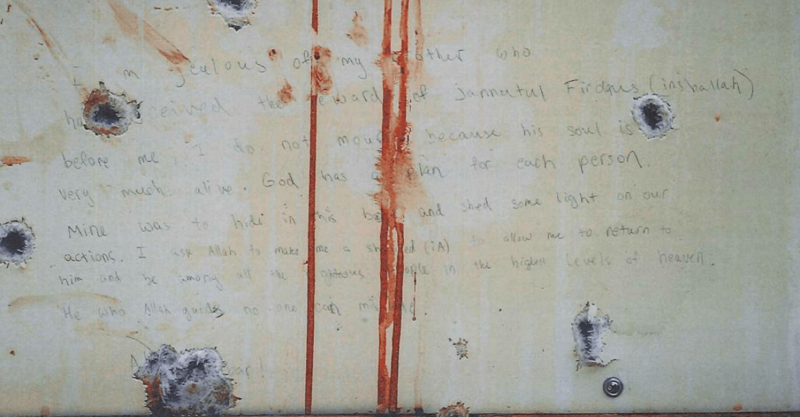 But not very difficult to discern when the note itself read, “…Mine was to hide in this boat and shed some light on our actions.” He went further and said Jahar hoped to be “crowned a martyr for God” by carrying out the Boston bombings. This dude is an expert in terrorism and he believes Jahar wanted to be a martyr? Really? Then why wasn’t the bomb on Boylston Street strapped to Jahar instead of being left in a backpack? On the ground. By a tree. As Jahar ran away. Or, why did Jahar escape Laurel Street instead of allowing himself to be martyred in a hail of bullets like his brother? Or, more importantly, maybe we should ask why Jahar asked where his brother was after he arrived at the hospital and after writing a boat note that clearly indicated he believed his brother was dead? Oops. Spoiler alert: Almost a month later after today’s testimony, paramedics testified that Jahar asked that very question. Did I forget to mention that Dr. Levitt is NOT fluent in reading or writing in Arabic? Like, at all. Yah. The material he analyzed for the case was in English, and if it wasn’t, he needed it to be translated for him. Thanks, Dr. Expert. The only thing I got out of Levitt’s testimony? The childish glee of knowing he missed his flight to Berlin. The only thing I got out of Dr. Levitt’s testimony is that he’s an expert in the current Islamic propaganda put forth by the West. I expect he knows little or nothing about real Islamic issues since he is a propagandist, and that’s why I suspect this individual is the actual author of the boat note. His job was to sell lies to the gullible masses — not much different than the mainstream media, only his job focused on propaganda relating to Islamic militancy, which was probably created by the same organizations that this man works with. I can only agree with your observations. Propaganda is the nicest word we can use here.